The floor model cabinet that provides the best of both worlds, sturdy shelving and heavy duty drawers. Ideal for all types of storage from the small to the over-sized. Each drawer easily accommodates up to 400 lbs. Plus, our 21.5 inch deep 14 gauge adjustable shelves can handle up to 1,600 lbs per shelf. 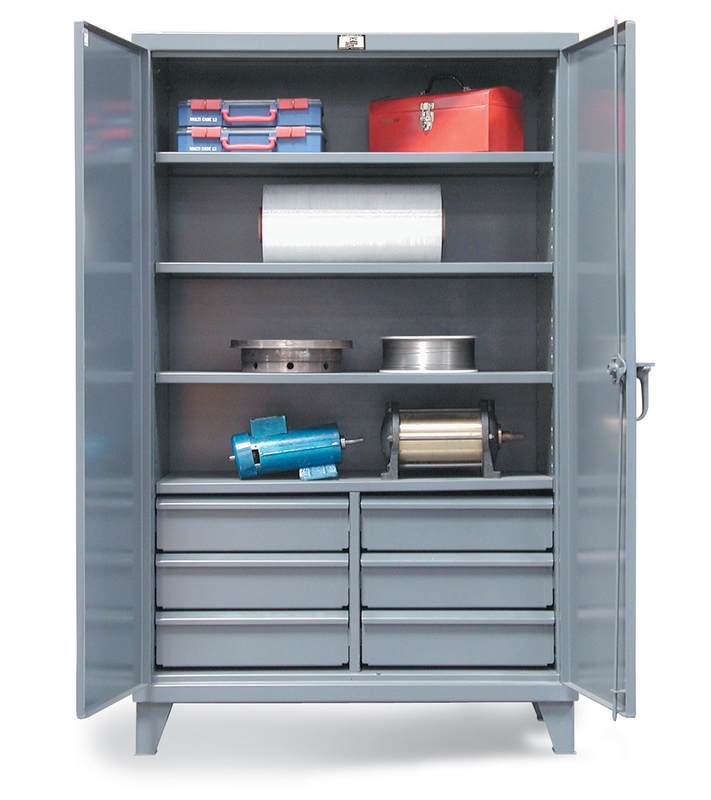 Extra heavy duty storage cabinets are the smart way to store equipment. These are manufactured from 12 gauge steel, they have all the features to last a lifetime. The all-welded design is built to last.With the security that comes standard, these can be locked up behind the 3-point locking device and secured with a padlock. 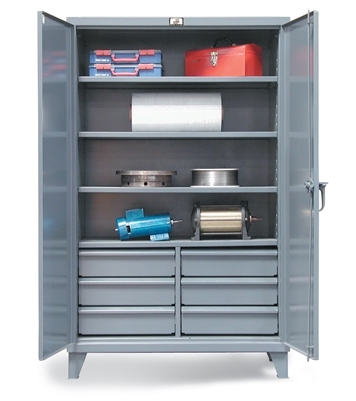 This cabinet also has the 6 inch tall 7 gauge legs and the all-welded design. These are 24 inches deep.